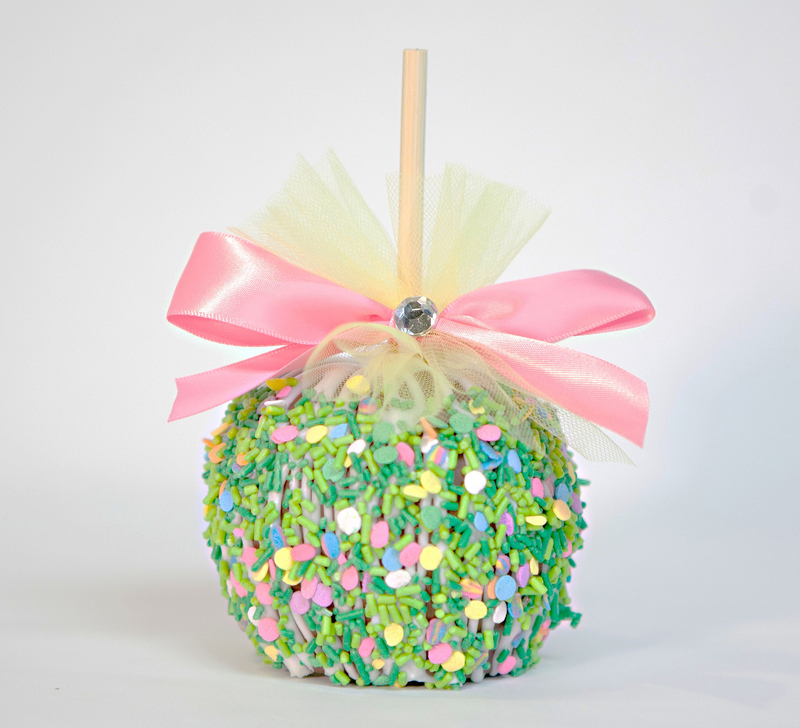 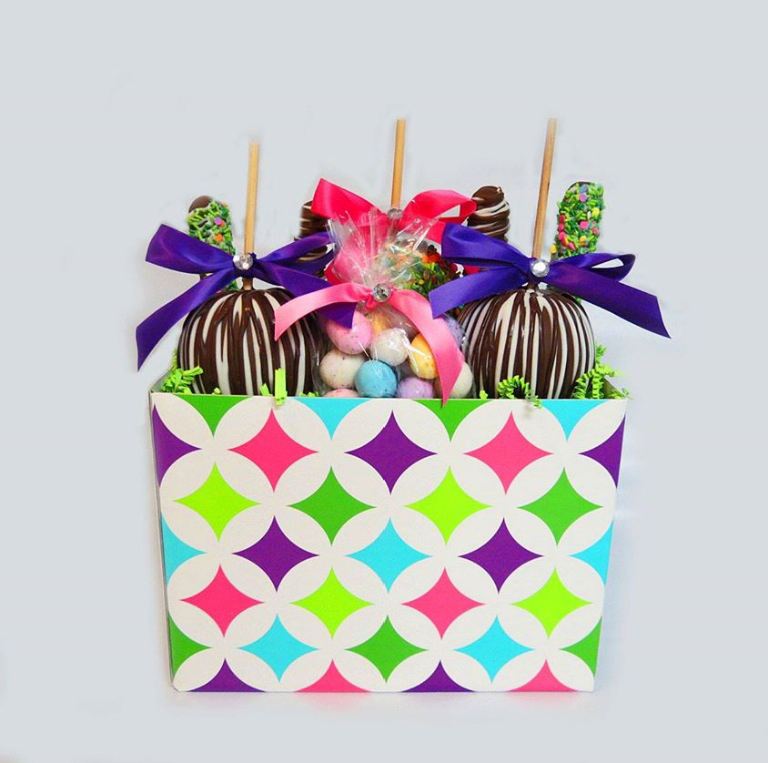 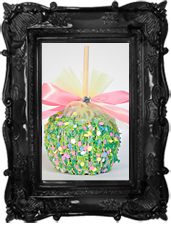 Orchard fresh apple hand dipped in rich creamy caramel, coated in milk chocolate and drizzled with white chocolate then topped with colorful Easter sprinkles. 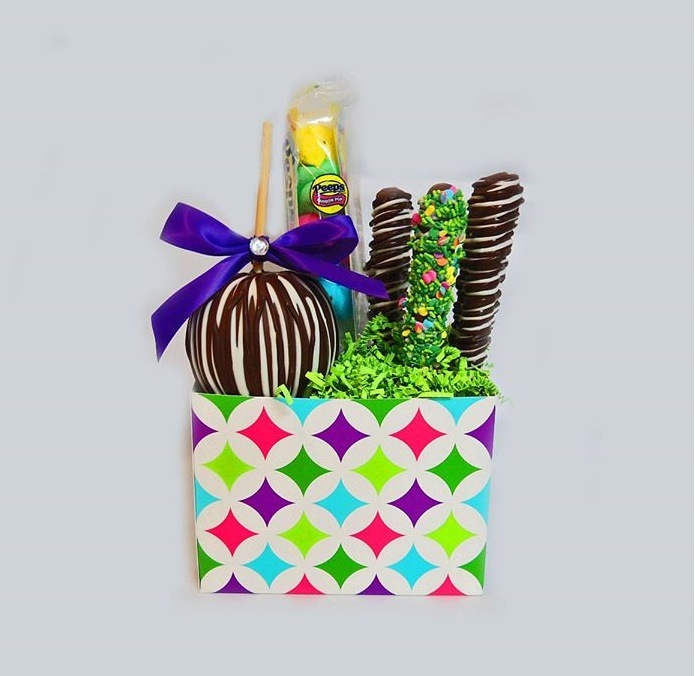 Includes 2 pretzel rods dunked in our creamy caramel, coated in fine milk chocolate, drizzled in white chocolate and topped with our sprinkles. 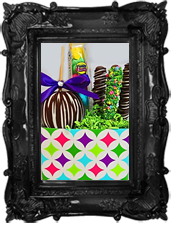 Includes 1 large Apple of your choice,2 gourmet pretzels & a Spring stuffed toy arranged in a Spring basket. 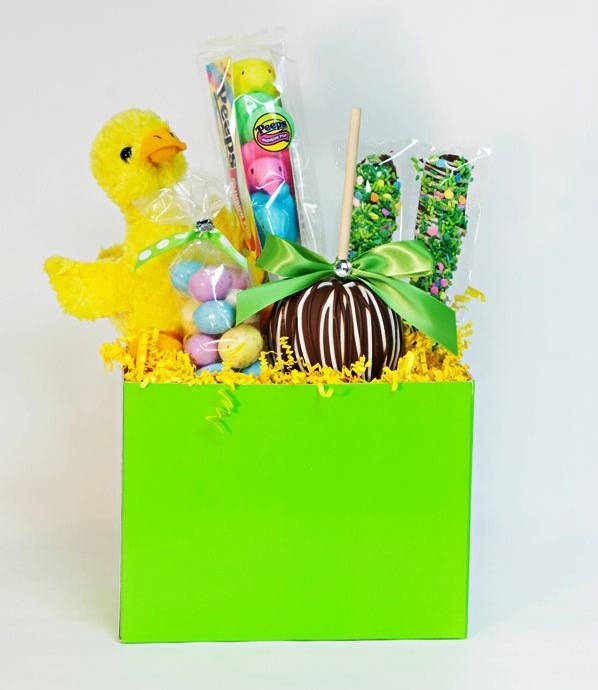 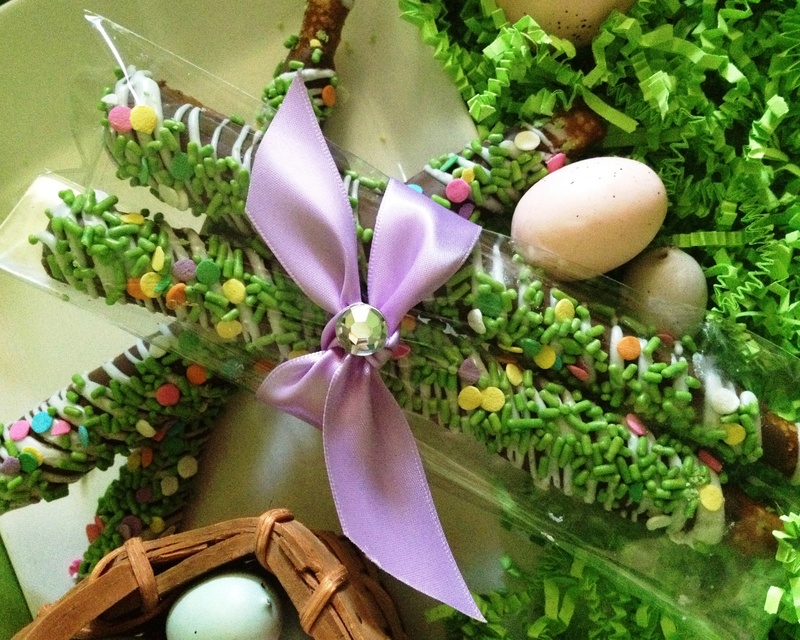 Includes 1 large Apple of your choice, 2 gourmet pretzels, 2 Easter candies & a Easter stuffed toy arranged in a basket. 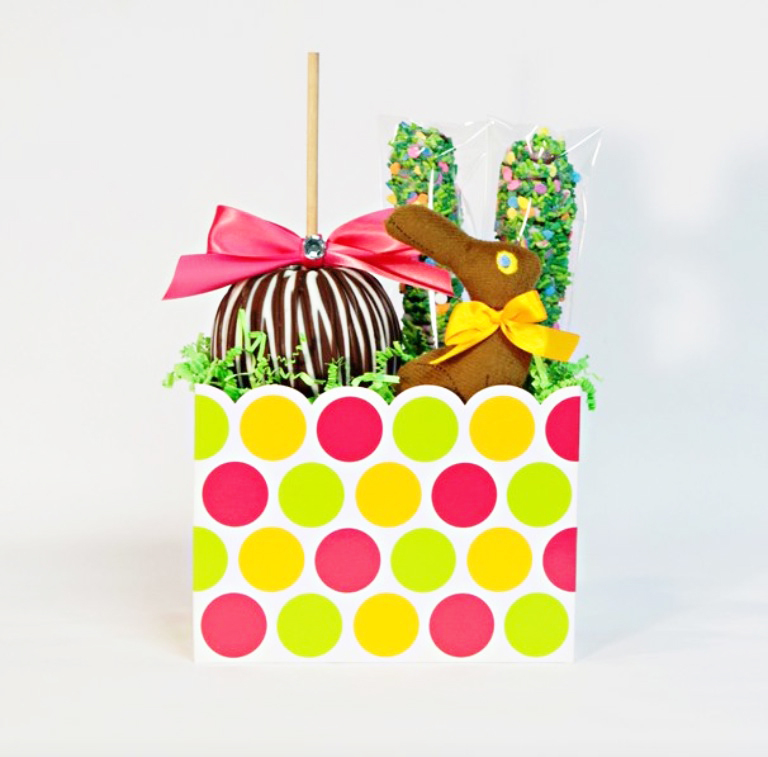 Includes 1 large Apple of your choice, 3 gourmet pretzels & a box of Easter peeps arranged in an Easter basket. 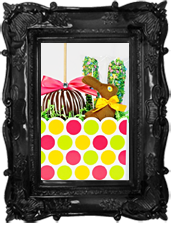 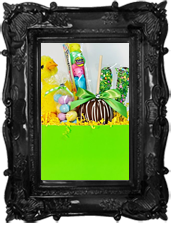 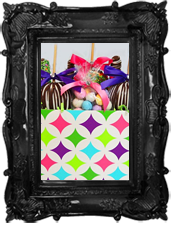 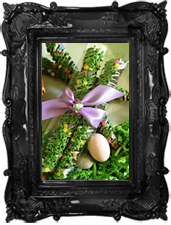 Includes 3 large apples, 4 gourmet pretzels & a bag of Easter candy arranged in a basket.